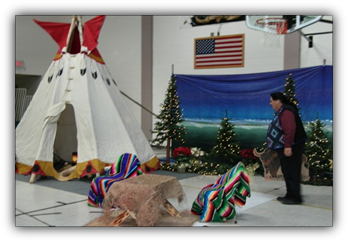 Thank you for your interest in serving the Kingdom of God and the Lakota People. We have the privilege of ministering all over South Dakota and beyond. God has blessed us with the privilege of sharing Jesus in many cities and towns as well as on many of South Dakota's Reservations. We have many outreach and building opportunities avalible through out the summer as well as our Easter and Christmas outreach events. We especially need work teams to help finish our new Worship Center in Rapid City. We need your help!!! He Sapa on a short term missions trip please contact us.